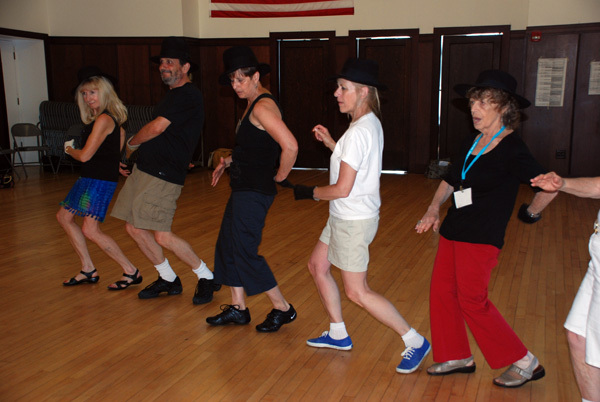 Larry Hoey's spirit as a “hot shot” dancer of Balkan, Hungarian, Scandinavian and Swing lives on in the DCFF Olympic Challenge. This is an opportunity for you to be highly creative and innovative and to strut your stuff late Sat nite at the “Folk Dance Olympics”. This is a friendly and fun “competition” where everyone tries in vain to defeat the perennial winners. Sign up for the Dance Olympics and help cap off the Sat Night Party. The "competition” begins after the Saturday Night Party, at approximately 12:30am.